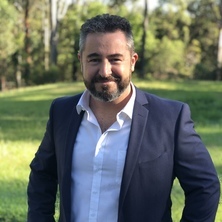 Iain joined the TC Beirne School of Law in 2019, prior to which he was a member of the Law Faculty at Bond University for a number of years. Iain’s primary research and teaching interests lie in the area of tort law, with a focus on defences and damages. His most recent work examines the nature and function of contributory negligence and its relationship with the rules of mitigation. Iain’s work has been published in leading law journals, including the Oxford Journal of Legal Studies, the Melbourne University Law Review, the University of New South Wales Law Journal and the Sydney Law Review. He has also co-authored articles with senior members of the judiciary and the academy and presented at both domestic and international legal conferences. Iain has received a number of teaching and research awards, including the 2018 Law Students’ Association Teaching Award (Bond), the 2017 Faculty of Law Emerging Research Excellence Award (Bond), and the 2015 Stanley Shaw Bond Prize for Teaching Excellence (Bond). Iain was the General Editor of the Bond Law Review from 2015–2019. Dietrich, Joachim and Field, Iain (2017) The 'reasonable tort victim': Contributory negligence, standard of care and the 'equivalence theory'. Melbourne University Law Review, 41 2: 602-646. Field, Iain (2017) A good faith challenge to the taxonomy of tort law defences. University of New South Wales Law Journal, 40 2: 537-565. Field, Iain (2016) Good faith defences in tort law. Sydney Law Review, 38 2: 147-178. Field, Iain (2016) Good faith protections and public sector liability. Torts Law Journal, 23 3: 210-229. Field, I. (2015) Welcome to the New Bond Law Review. Bond Law Review, 27 1: 1-4. Field, Iain (2014) In mourning of bereavement damages. Torts Law Journal, 22 95-125. Field, Iain (2011) Crime fighters and border guards: The Scottish law officers in comparative perspective. Bond Law Review, 23 2: 26-47. Field, Iain and Keyzer, Patrick (2011) Preface: The evolving roles of Attorneys-General and Solicitors-General. Bond Law Review, 23 2: iii-vi. The 'institutional integrity' principle: Where are we now, and where are we headed? Steytler, Chris and Field, Iain (2011) The 'institutional integrity' principle: Where are we now, and where are we headed?. University of Western Australia Law Review, 35 2: 227-264. Field, Iain (2011) Judicial mediation, the judicial process and Ch III of the Constitution. Australasian Dispute Resolution Journal, 22 2: 72-83. Field, Iain (2010) A comment on costs in Constitutional cases. Bond Law Review, 22 3: 104-110.